I'm planning to a trip from Budapest to Amsterdam, then to Prague, and back to Budapest. It's very cheap to get from Budapest to Amsterdam using Wizz air, but the return flight is costly, so I was thinking of taking a train. I know you can do Amsterdam to Prague via Cologne or Berlin. Which is better? What other options exist? I'm just trying to be as thrifty as possible. Bus services like Flixbus (And I believe there are many others, I see these buses often here) can take you from Amsterdam Sloterdijk to Prague. This will cost you from 45 euro to 65 euro, depending on how many stops you have. If you get the 65 euro, nonstop ride it will take you 12 hours. 45 euro and 1 stop is about 18 hours. Amsterdam Sloterdijk is a trains station close to Amsterdam Centraal. Very accessible from Amsterdam Centraal and Schiphol Airport. 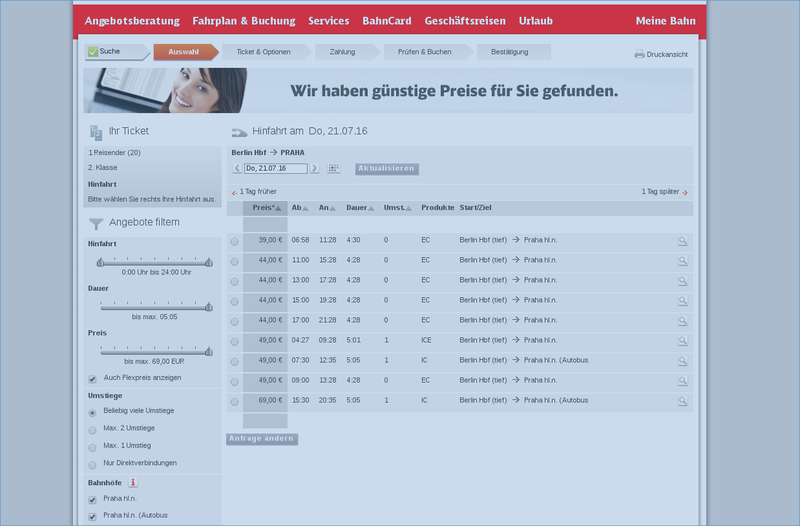 As requested; on the flixbus website you can find information about frequency and detailed pricing. The Flixbus buses leave about 5-6 times day, every day. 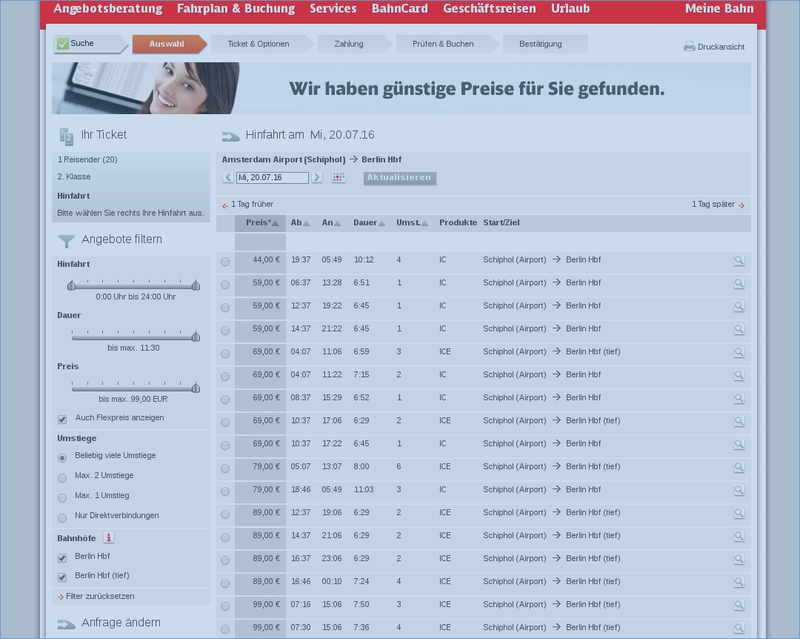 Deutsche Bahn has a pretty good connections finder (usually works in Europe pretty well), you can explore your train options there. If you want to take the train you will have to travel through Germany, that's for sure. The Deutsche Bahn has a quite good search and as you can see the fastest connections are usually via Frankfurt and Nuremberg or Berlin. So this would in total be 83€, but of course it heavily depends on your times and . Also it might make sense to also search via Nuremberg and see if it has any cheap saver fares. Not the answer you're looking for? Browse other questions tagged public-transport budget germany netherlands czech-republic or ask your own question. What is the fastest way from Zurich to Eindhoven, by public transport?